NY, passed away with her family by her side, on Tuesday Jan. 17, 2012. Born to her late parents, Ruby Dell (Goff) and Charles L. Emery in 1931. She was a shoe sales associate for Wal-Mart Co., Clay, NY. 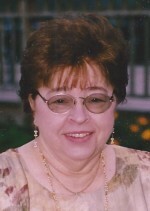 Evonne was a camp fire leader; an avid fan of the NY Yankee Baseball and SU Basketball. She was predeceased by her husband, Donal K. Mauser, in 1988; and her brother, Robert G. Emery, in 1987. Surviving are her children, Kamden (Patti) Mauser of Baldwinsville, Debra (Nelson) Thiel of Boston, NY, Donnetta (Greg) Hayduke of Clay, Stephen (Pam) Mauser of Baldwinsville, Eric (Shay) Mauser of Mexico, NY and Rebecca Van Gorden of Syracuse; 15 grandchildren; 11 great-grandchildren; several cousins; a dear friend, Patricia Beattie. Calling hours will be held on Friday from 2 to 4 and 6 to 8 p.m. at the Allanson-Glanville-Tappan Funeral Home, 431 Main St., Phoenix. A service will follow at 8 p.m. with Pastor Mack Bixby officiating. Burial will be in the spring of 2012 in Phoenix Rural Cemetery, 126 Chestnut St., Phoenix.